A COURT has stepped in to ban two Melbourne parents from weighing their eight-year-old daughter. 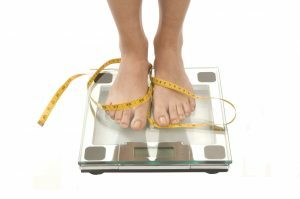 The girl, who tips the scales at 43kg, is the centre of a fight over who is responsible for her weight gain. Federal Magistrates’ Court heard the argument had become so bitter that the father, 57, had started taking his daughter to a doctor for a weigh-in before and after her custody visits with her mother. He told the court it was a “terrible” but necessary step to protect himself from blame. He had been reluctant to do it, but he denied it harmed his daughter’s self-esteem or confidence. “It’s within her interests to do so, because she always feels pleased that she loses weight,” he said. The man said his daughter was not excessively overweight and a doctor said she might “grow out of it”. He also claimed the mother called her daughter fat and it discouraged her from being truthful about what she had been eating. But the mother, 51, said she was firm with her daughter about not eating junk food. The court heard the mum controlled portion sizes to the point where her daughter complained about the small amounts of food she was getting for dinner. The mother said she ensured the girl had a healthy diet, did regular exercise, and she would enrol her in swimming. The mother criticised the father for the size of the meals he served and for giving her potato chips as a school snack. She said since the girl had been mainly in her father’s care she had gained “a considerable amount of weight”. The court heard the girl had been bullied at school. She had complained she didn’t have any friends because others at school called her fat, chubby, or even “fatso”. Federal magistrate Toni Lucev said both parents were generally loving and caring, but the father’s constant weight-checking ignored the effect on the girl’s confidence. He also questioned why parents worried about their daughter’s weight used a takeaway restaurant as a custody handover point. He ordered they change to a library.